A synchrotron produces light by using radio frequency waves and powerful electro-magnets to accelerate electrons to nearly the speed of light. Energy is added to the electrons as they accelerate so that, when the magnets alter their course, they naturally emit a very brilliant, highly focused light. Different spectra of light, such as Infrared, Ultraviolet, and X-rays, are directed down beamlines where researchers choose the desired wavelength to study their samples. The researchers observe the interaction between the light and matter in their sample at the endstations (small laboratories). This tool can be used to probe matter and analyze a host of physical, chemical, geological, and biological processes. Information obtained by scientists can be used to help design new drugs, examine the structure of surfaces to develop more effective motor oils, build smaller, more powerful computer chips, develop new materials for safer medical implants, and help with the clean-up of mining wastes, to name just a few applications. The CLS is Canada’s national centre for synchrotron research. 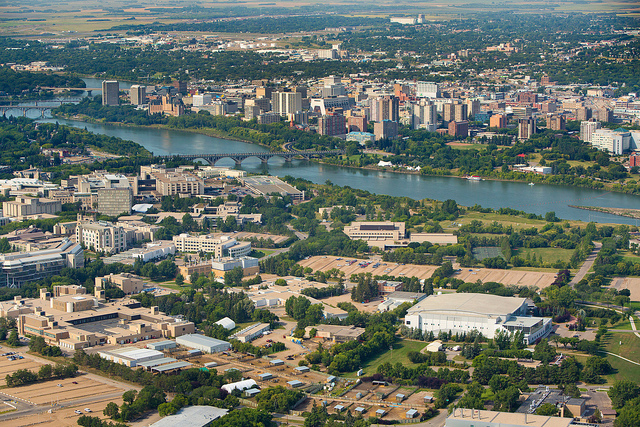 Located at the University of Saskatchewan in Saskatoon, the CLS is a world-class, state-of-the-art facility that is advancing Canadian science, enhancing the competitiveness of Canadian industry and contributing to the quality of life of people around the world. Launched in 1999 and officially opened in 2004, the synchrotron is one of the largest science projects in Canadian history and was the product of an unprecedented collaboration of federal, provincial and municipal governments and agencies, universities from across the country and industry. The CLS is committed to being a world-leading centre of excellence in synchrotron science and its applications by working with the scientific community to promote the use of synchrotron light, promoting industrial partnerships and innovation, and engaging in scientific and educational outreach. The Advanced Light Source is located in Berkeley, California at the University of California Berkeley. It is a United States Department of Energy-funded synchrotron facility that provides users from around the world access to the brightest beams of soft x-rays, together with hard x-rays and infrared, for scientific research and technology development in a wide range of disciplines. The ALS houses 40 beamlines and dozens more experimental endstations where scientists from around the world can conduct research in a wide variety of fields, including materials science, biology, chemistry, physics, and the environmental sciences. Operation of the ALS is funded by the U.S. Department of Energy, Office of Basic Energy Sciences. It cost $99.5 million to build.